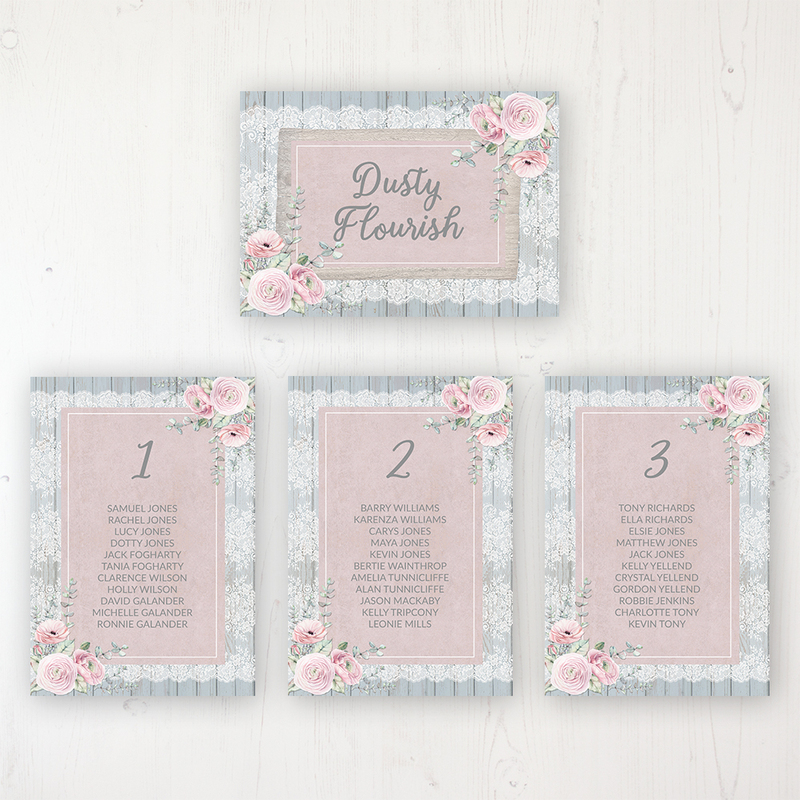 A dusty blue backdrop sets the perfect scene for a posy of soft florals to unfold into their splendour. 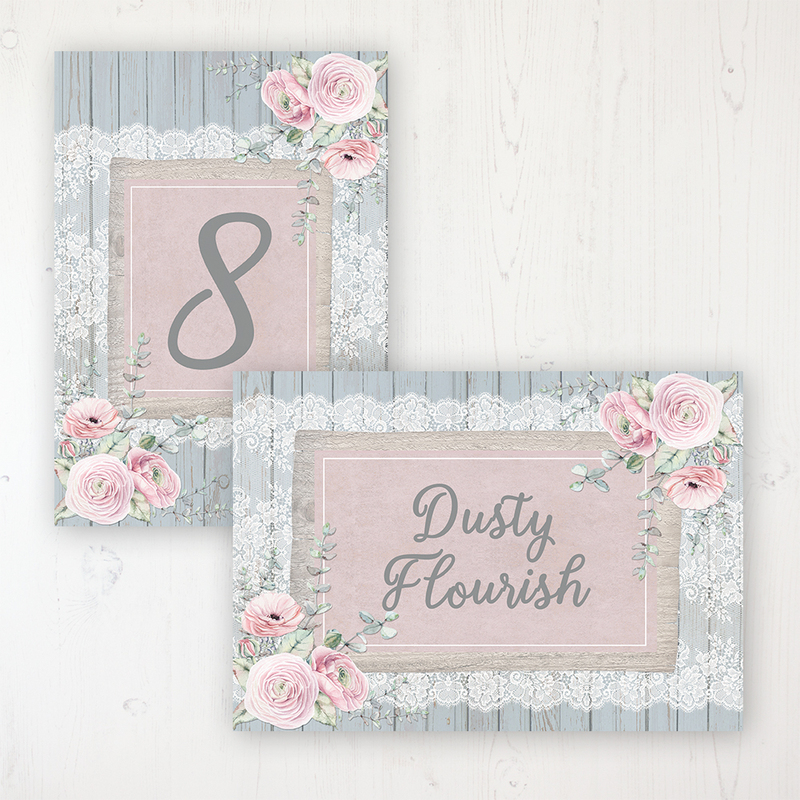 Dusty Flourish has a paired back tone with whimsical flowers and delicate lace. 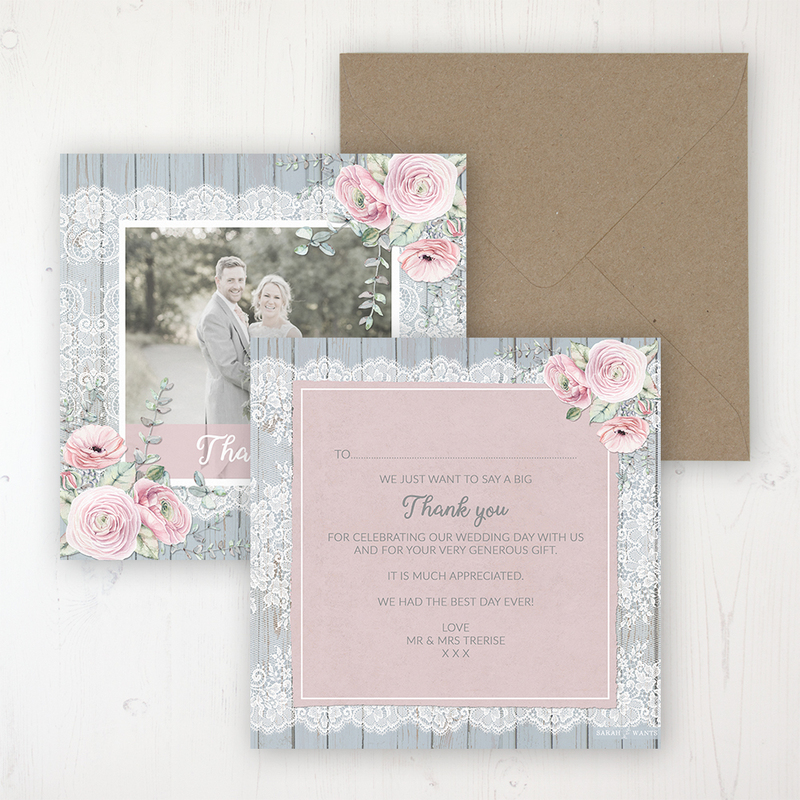 This collection would suit couples that want a country garden look with a classy touch. 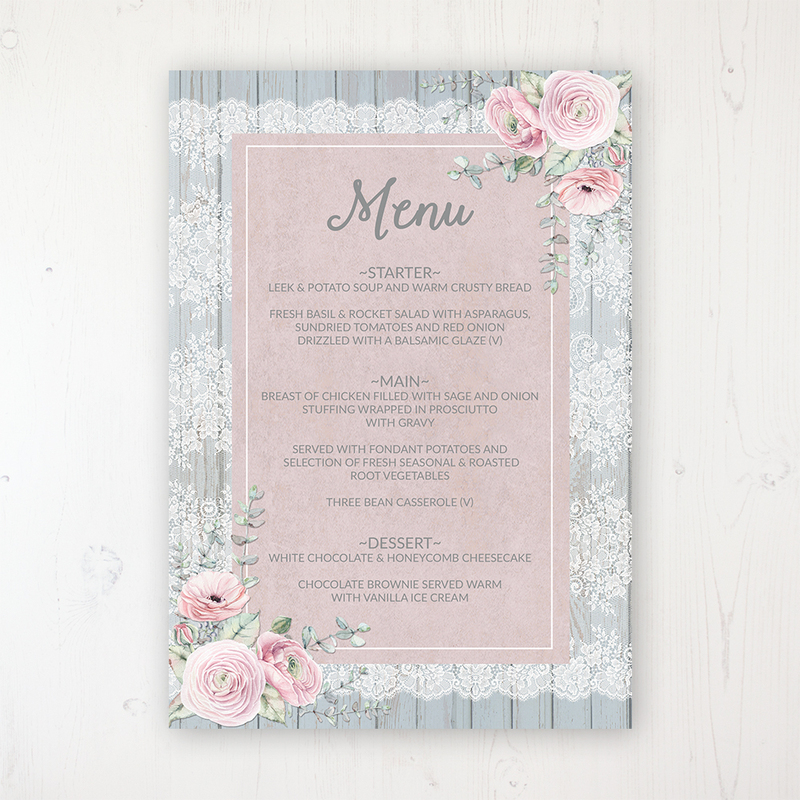 Let your guests know what is happening and when on your wedding day, with a handy Order of the Day/Service card. 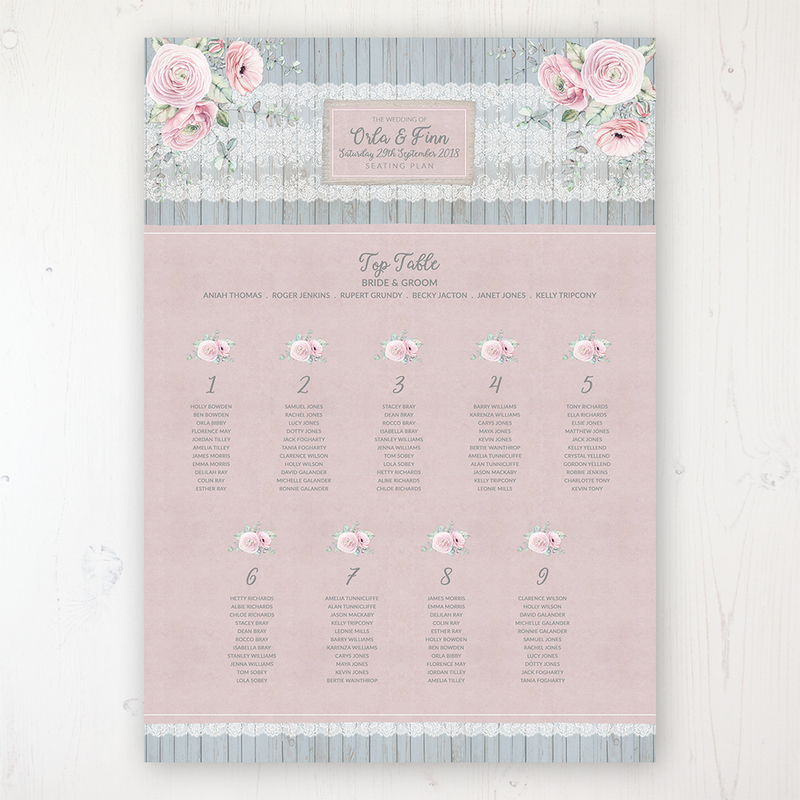 Perfect for itinerary cards or short ceremonies where, for example, full hymn wording is not needed. 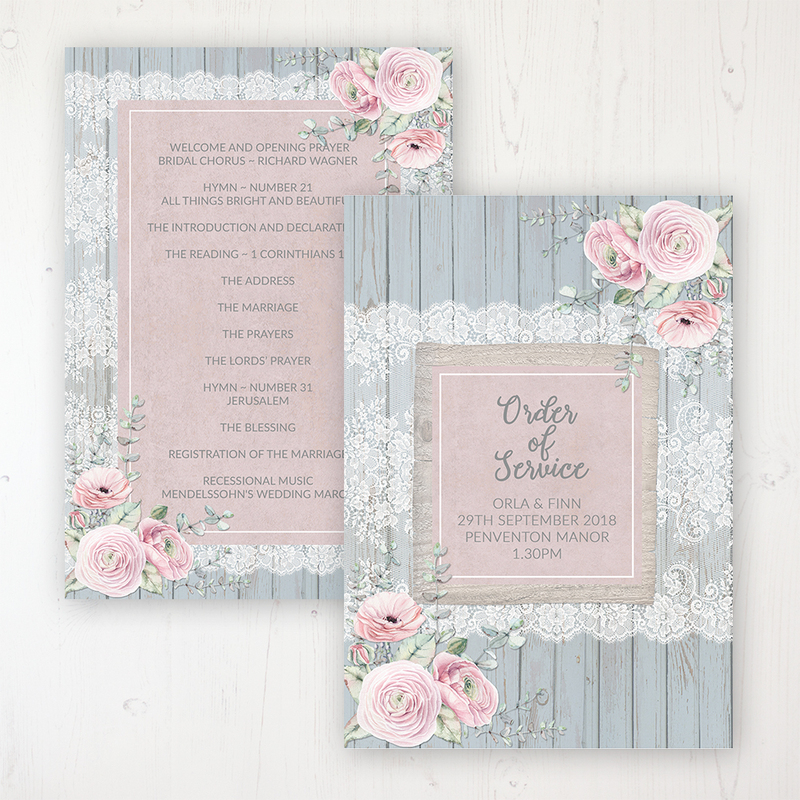 Luxury 320gsm textured A5 flat card printed with your names, venue, wedding date and time on the front, with the order of the day/service information on the reverse. Order one per guest or one between two and make sure you add 5-10 spare. 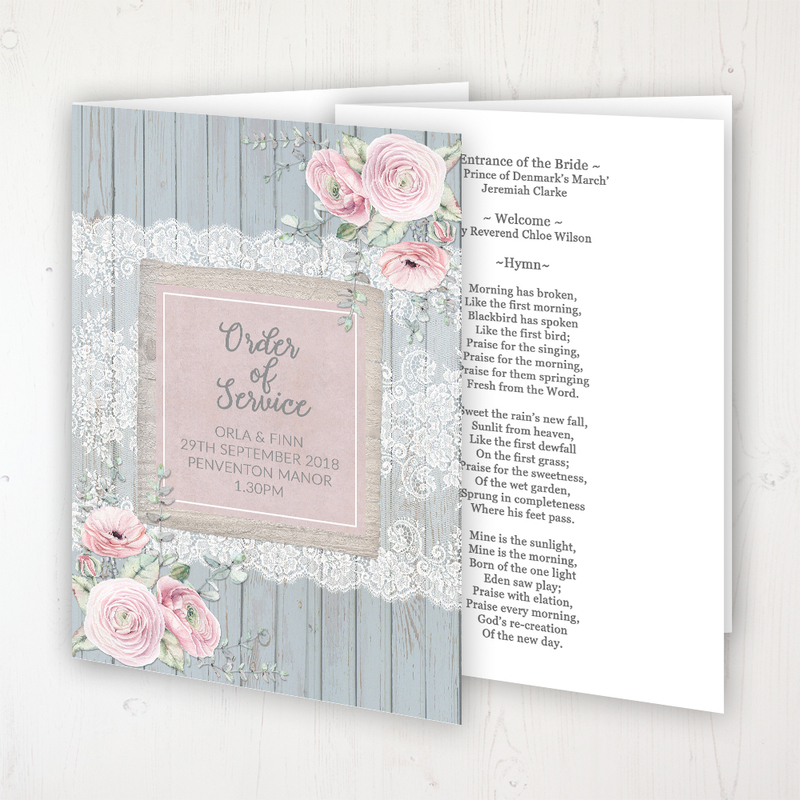 If you need more space, then you’ll need to choose the Order of Service Booklet from the shop instead. 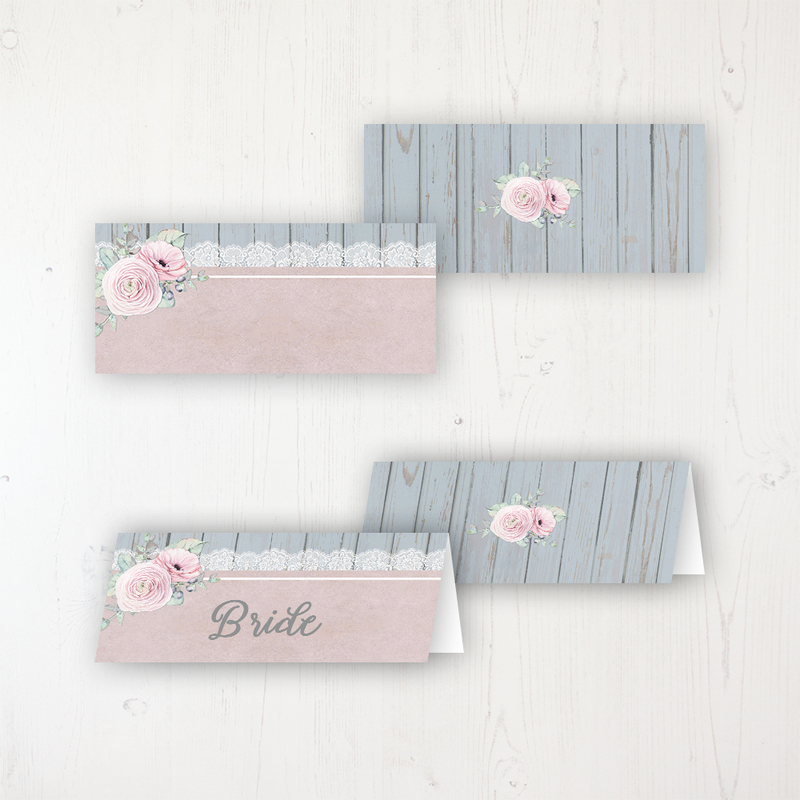 Less than 6 weeks to your wedding? 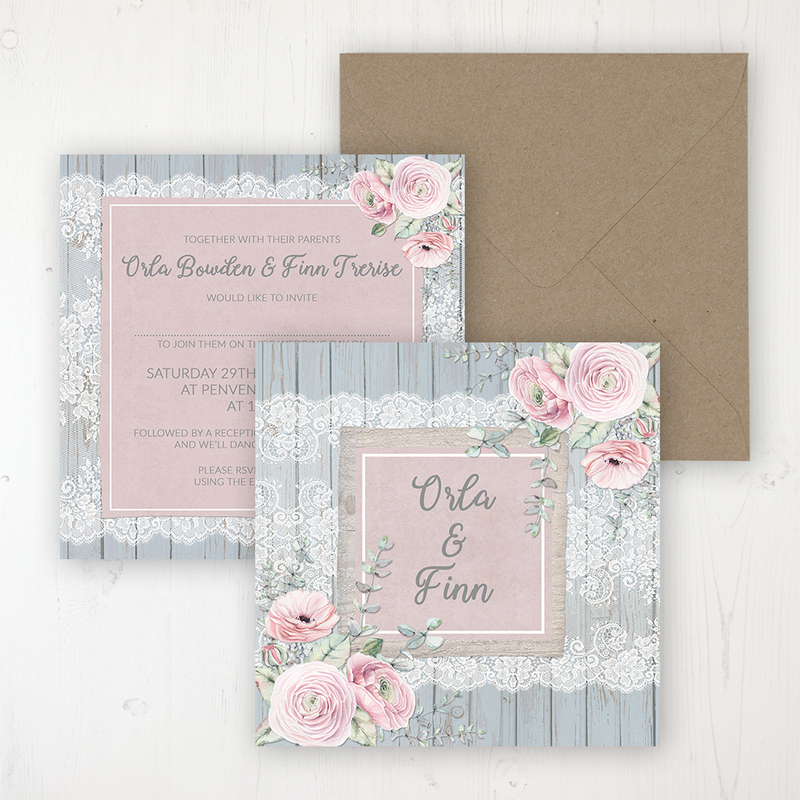 Please be aware that you’ll need to provide your Order of the Day wording within 2 days via email to ensure delivery in good time before your wedding day.